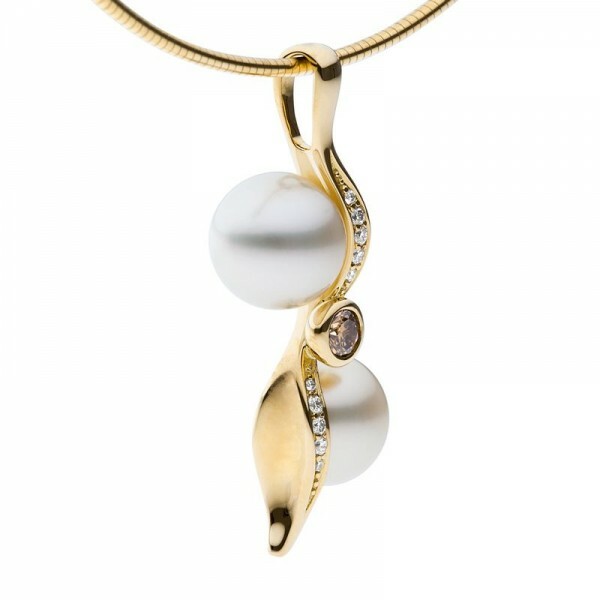 A stunning champagne diamond is central to this pendant of gentle curves which trail away in fine arcs of diamonds. 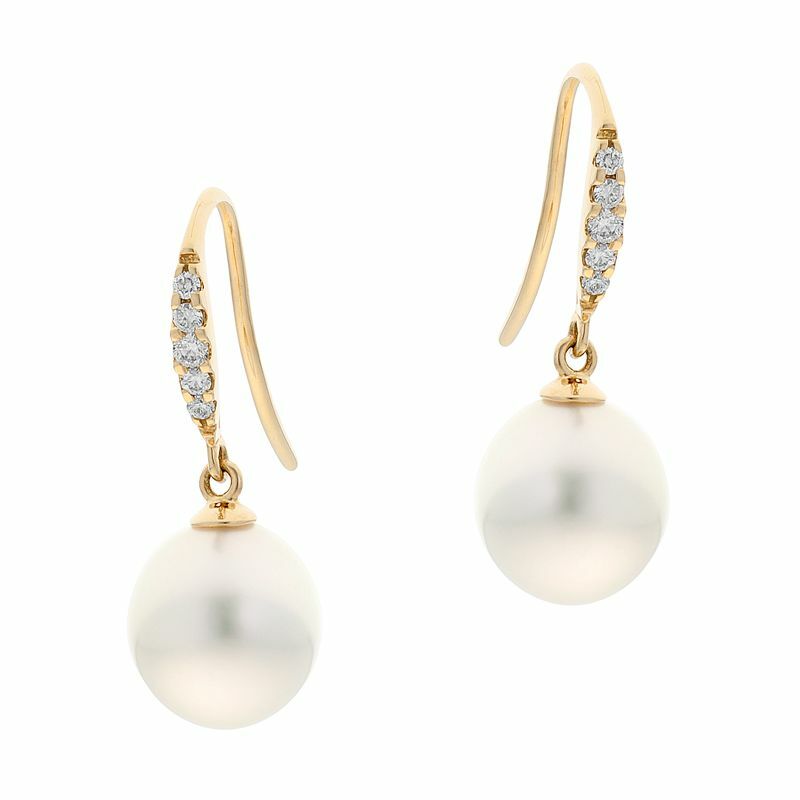 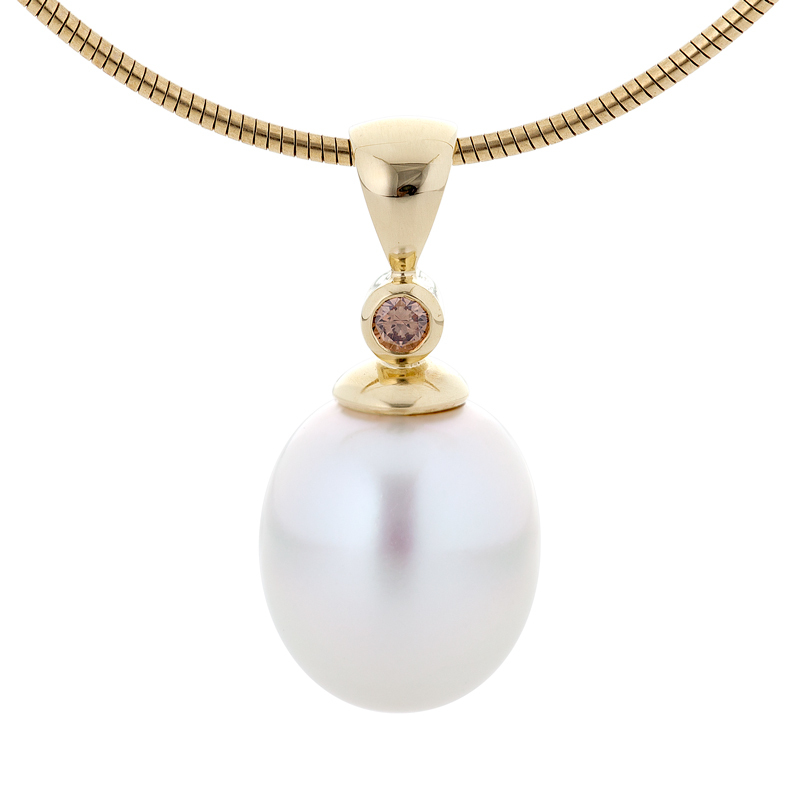 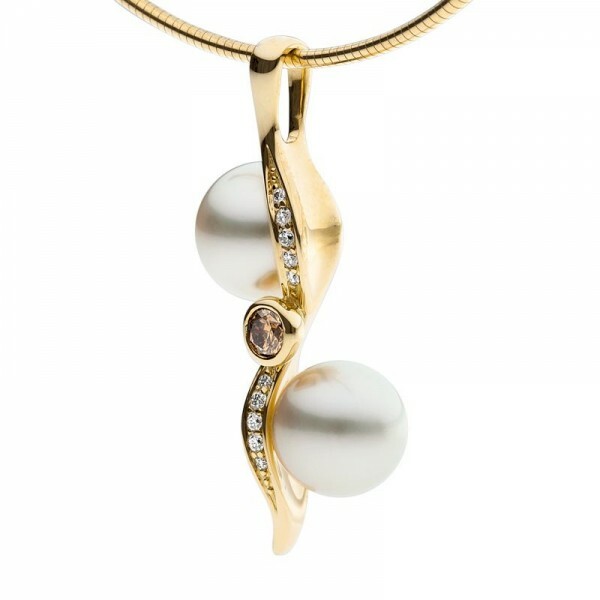 It also hosts two perfectly matched South Sea pearls and looks elegant and striking suspended from any style of chain. 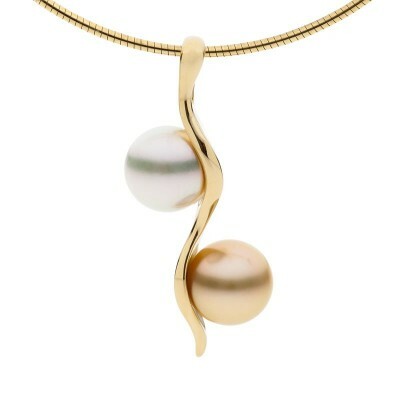 Named after the Greek God of the west wind Zephyrus, the curves in this design were inspired by the gentle movements from a light wind.